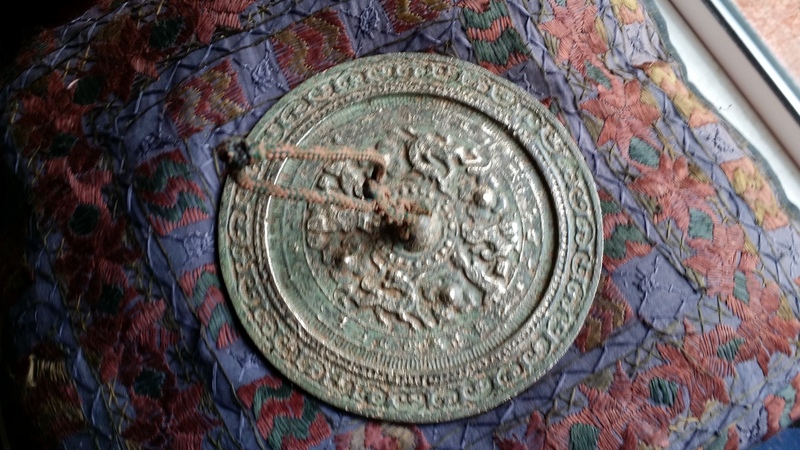 New Japanese Bronze Mirror – shamanic? 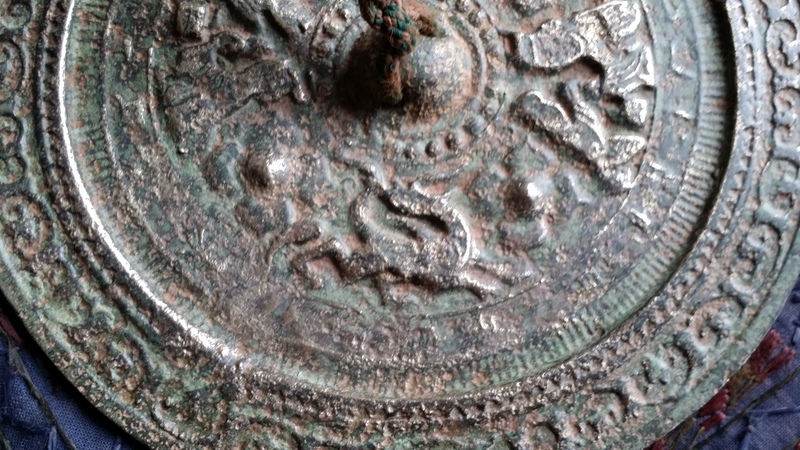 ≈ Comments Off on New Japanese Bronze Mirror – shamanic? 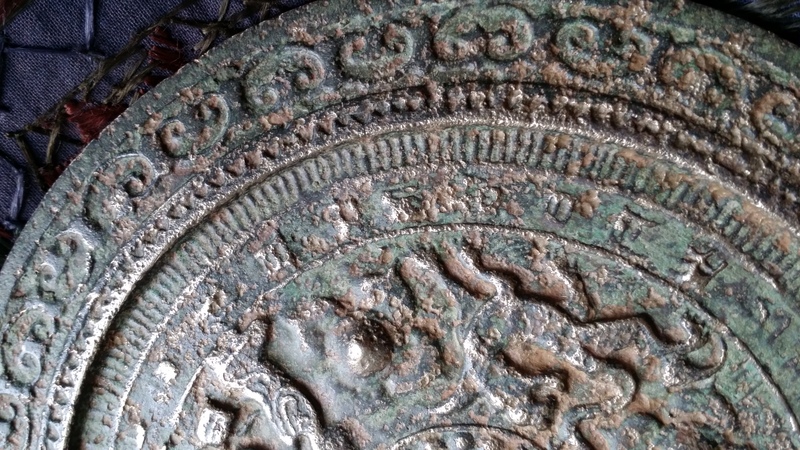 Here is my latest toli mirror, Japanese in origin, probably Jo(u)mon or Ainu, maybe from the Kofun tumuli or a copy. My largest by far, at 7 inches diameter. 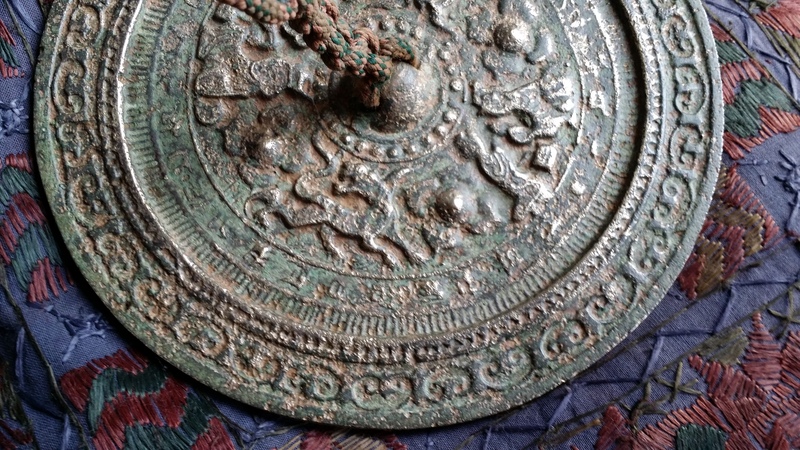 I’m checking on the origin of two other of my Japanese mirrors, and my thanks to Rie Hanazono for her help!